DemoCurmudgeon: Walker takes from UW and Wisconsin's future to Fund Roads. Leaked Communications from the depths of the Ice Planet Foxconnsin...John Peterson. Walker takes from UW and Wisconsin's future to Fund Roads. Republicans will never stopped criticizing former Gov. Jim Doyle for dipping into the transportation fund so he could pay for public education. That's because they believe it should be the other way around. So now you know how Scott Walker borrowed money for road construction, without increasing our debt. He took money away from the University of Wisconsin for building projects. If that wasn't bad enough, that little trick will cost the UW $30 million more. Now that "fiscal conservatism." The state Legislature's nonpartisan budget office says the state could have to spend roughly $30 million more on several University of Wisconsin System building projects that were delayed in the last budget. Gov. Scott Walker and Republican lawmakers froze bonding for all but a couple building projects in the last budget. That let them continue to borrow for roads while still keeping overall bonding low. Bonding will once again be an issue in the next budget as lawmakers and the governor continue to struggle with how to fund transportation ... lawmakers, including Assembly Speaker Robin Vos, who say current levels of road bonding are unsustainable. Walker spokesman Tom Evenson said, "The last state budget included the lowest levels of bonding in at least 20 years, and the governor will seek to keep bonding low in the next budget," Evenson said. Gov. 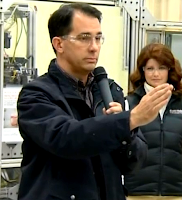 Tony Evers Calls for Renegotiation of Foxconn Deal - Today, Gov. 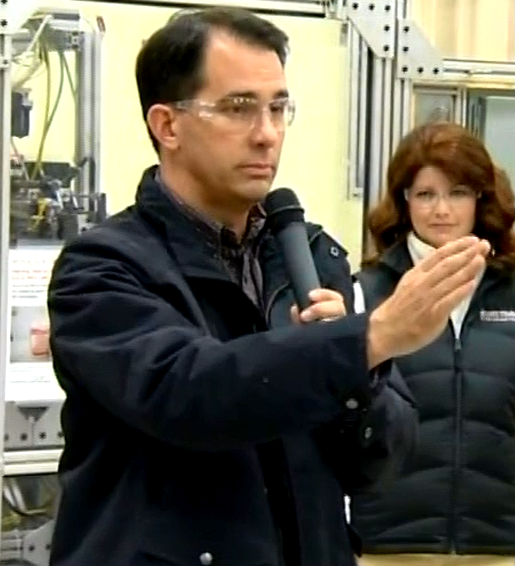 Tony Evers announced he will seek to modify the terms of a contract with Foxconn. By: Lolly Rzezotarski - Sorry to have posted twice. I thought I had deleted the one with the typo in my name. I hope the page manager can delete it. Center on Budget and Policy Priorities | Informing debates. Shaping policy. Producing results. Trump would use Gitmo to interrogate Americans. Louisianians rush to stay healthy...go figure. Republicans hoping Trump Drops Out!!! Lotsa luck.